Much awaited Yamaha's YZF - R15, a 150 cc sports bike is finally out on Indian roads. The bike today announced by Yamaha Motor Pvt. Ltd. contains true Yamaha Racing DNA. 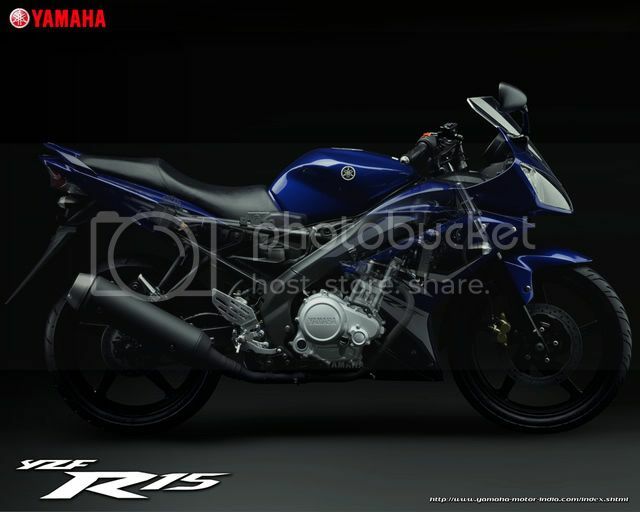 The bike, Super Sports Yamaha R15 is expected to set all new standards in design and performance in bike Industry of India. Machine, ie. the bike has technology percolated from R1. This new bikeYZF - R15 has many firsts to its credit on Indian road including first liquid cooled engine, 4 valve fuel injected engine etc. The YZF R15 is powered by 149.8cc Fuel Injected liquid cooled engine producing 17bhp with maximum torque of 15 Nm at 7500rpm; which makes it like the most powerful bike under 200cc range. Yamaha YZF R-15 boasts 6 speed gearbox with optimized gear shift ratio so expect a smoother ride. The bike will be priced at Rs 97,425 ex-showroom (All India). The bike was recently showcased on Race Track on Chennai. Bike was impressive and attractive. We will now talk about various aspects of the bike one by one. 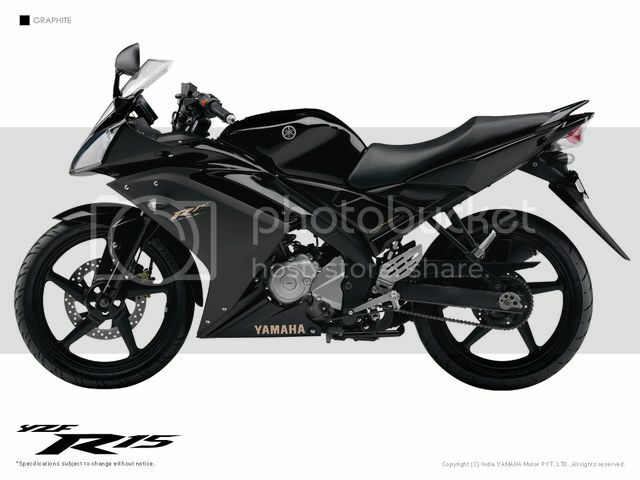 If you are not a bike enthusiast but still have some interest in bikes even then you will Yamaha YZF R15. And if you happen to be a person who is little aware about bikes around the world then you sure know that we have a DNA of Yamaha YZF- R1 on Indian roads. The bike is directly derived.. rather say inspired from R1. Just to add here, Yamaha YZF R1 is globally acclaimed Yamaha bike and has a fair respect around the world. So Yamaha, by introducing / developing a bike derived from R1 is like giving Indians what they want. Indian bike market is still in initial stage. So giving R15 is like giving taste of international standards and styling to Indians but on the cost which is in their reach. When I say that design is inspired from R1 then there is really nothing much left to say as we know about the success and design of R1 very well, however, in layman's language, bike has stunning looks. Company says that they have a "R" characteristic in their design which is adopted in R15 too. 4) a sensual racing form that brings all 3 of these elements together in a harmonious package. " Starting from the headlamp, the R15 dual sharp head lamps clearly reflect the yamaha R1 in it. However, it still manages to distinguish easily from R1. So you may see that right from the beginning they had R1 DNA in their mind. However the R15 is not scaled down version of R1 and it is clearly distinguished from R1. 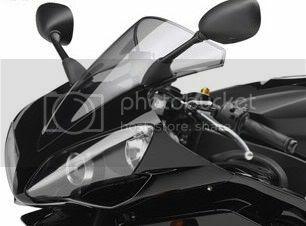 The R15 has more practical design as per Indian perspective. They made sure that bike looks international as well usable in India perspective too. The bike has some good details, however they adopted it to be more curvy than having sharp design of R1. Side cowl ar impressively designed to cover small engine (150 cc) of R15 and nicely placed. However, engine would have looked even better if it was body colored or black. The bike sports digital console and speedometer. Tyres are tubeless. Riding position is all sporty. One would feel sporty the moment you take seat on bike. As hot now a days, the bike sports split rear grab rail. Looks cool. However, real side indicators could have been more sporty. They just look so basic and give little feel of out of theme. May be because of little simple back of R15 as compared to its front. But overall, it makes decent impression. The Yamaha YZF R15 is powered by 149.8cc Fuel Injected liquid cooled engine producing 17bhp with maximum torque of 15 Nm at 7500rpm. So consider it as return of evil that we had once saw many years back in Yamaha's bike and for which Yamaha was famous in India. I still see that people rework on old Yamaha bike and use them even they are out of production because they remember and like that power image of Yamaha. R15's engine is liquid cool, its first in India in bikes. 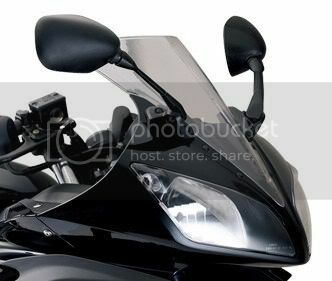 The technology is widely used in four wheelers etc but its hardly their in bikes of this niche. Being a liquid cool engine, it ensure better engine performance even on power ride and on long ride. So bike has a small radiator in it. Moreover, being liquid cooled, it also helps in reducing engine noise so deliver even smoother ride. And the piston used in R15 are made in a forging process, its a Yamaha's own proprietary "Controlled Forging" which makes piston lighter and thinner yet more usable. Engine uses Fuel injecting technology with 3 ltr air duct and providing improved combustion ability hence efficiency. 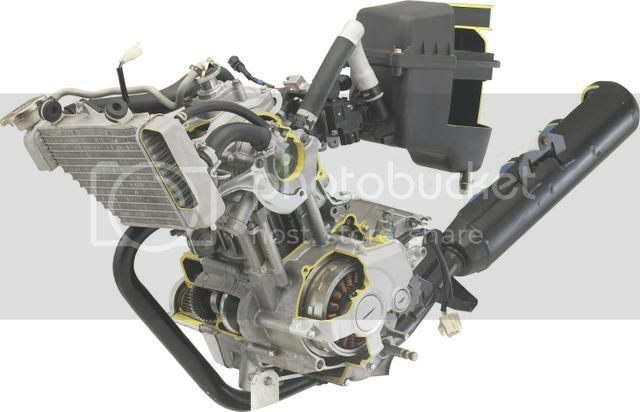 Overall, engine is power packed and highly optimized. Surely gonna make you rock.
" This type of frame is currently used in YAMAHA’s R series of sport models. The engine is mounted on rigid supports; one on the head side and two on the case side; so that the engine itself becomes a structural member contributing to body strength and rigidity. The engine’s low vibration makes rigid supports possible, ensuring low vibrations and excellent balance of rigidity." As a performance bike, do not expect a decent mileage, being a 150 cc bike , only expect 35kmpl to 45kmpl of mileage. It looks like real performer from Yamaha after a very long period and surely it will going to revive their performance image in Indian market which they lost a while ago. 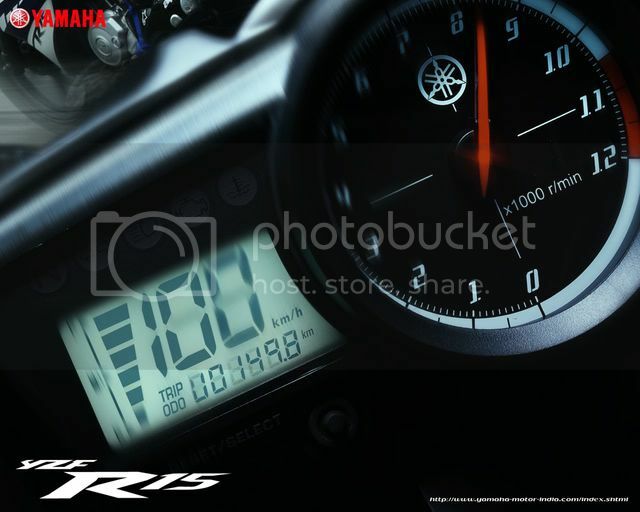 By launching R15 in India, Yamaha gave Indian a glimpse of the international standards on Indian price. However, priced little heavily otherwise their no other cons of this bike which I could find. Riding comfort, engine responsiveness as well whole layout is neat and attractive. Images Courtesy Yamaha Motors Pvt. Ltd.